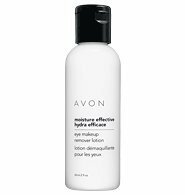 Moisturizes around delicate eye area as it whisks away makeup. 2 fl. oz. Beauty Tip by Jillian Dempsey…For the freshest-looking skin in the morning, make sure you take off all your makeup in the evening. Your skin renews itself at night, and it can’t effectively do that unless it’s free of all makeup and daily debris….